Trust the process to the proven communications professionals at Blu Print Public Relations. Our team of communication professionals bring rich history of helping companies, ranging from startups to Fortune 500 convey the right message to the right audience. We also have deep experience serving the communication needs in a variety of industries including technology, law and renewable resources. We take great pride in helping clients create a ‘blue print’ mapping to their communications needs, helping to support corporate initiatives, key product launches, and other milestones that are key to business success. When launching BitcoinNW, Blu Print PR took the time to get to know our company, our audience and our objectives. Business is going well and I believe that is, in large part, a direct result of the positive media coverage we garnered. We've had an excellent experience working with Blu Print PR. 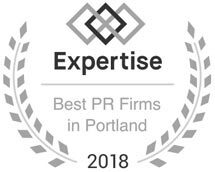 From our very first engagement, they displayed a deep knowledge of the technology industry and a keen ability to tie public relations to Mural's key business objectives. With their guidance, Mural continues to build positive relationships with the people who reach and influence our target audience. Blu Print PR’s contribution to help us align media efforts to our company’s overall marketing goals and mission, has presented a very noticeable increase in awareness throughout key areas of growth for our company. Our team had a wonderful experience working with Blu Print Public Relations to announce the Innovation Academy. Kristin and Kami are strategic communicators who possess a keen eye for news and a true talent for helping organizations evangelize their story. Skip Newberry, president, Technology Association of Oregon.